The study aimed to determine and compare cadmium (Cd) concentration in different biological media of breast cancer and benign breast tumor patients. Concentration of Cd was determined in breast tissue, urine, and blood of 57 breast cancer and 51 benign tumor patients. Two samples of breast tissue from each patient, i.e., tumor and healthy tissue were taken for the analysis. Cd in biological media was determined by atomic absorption spectrometry (Perkin–Elmer, Zeeman 3030). The mean Cd concentration in breast cancer patients was 0.053 μg/g (95% confidence intervals, CI 0.042–0.065) for tumor sample and 0.02 μg/g (95% CI 0.014–0.026) for healthy breast tissue sample (P < 0.001). In benign tumor patients, the figures were as follows: 0.037 μg/g (95% CI 0.023–0.051) and 0.032 μg/g (95% CI 0.018–0.047) (P > 0.05). Cd content in malignant tumor significantly differed from that in benign tumor (P < 0.01). 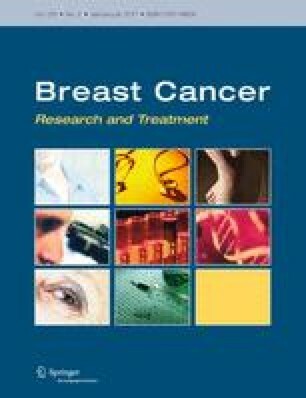 Cancer patients with positive estrogen receptors (ERs) had significantly greater concentration of breast tissue Cd compared to patients with negative ERs (P = 0.035). Adjusted for creatinine, Cd in urine was significantly higher in cancer patients than in controls (P < 0.001). In cancer patients, a positive Spearman’s correlation was found between Cd in tumor and healthy breast tissue, blood (r = 0.44 and r = 0.39, respectively, P < 0.01). Correlation between Cd in urine of cancer patients and number of cigarettes smoked during lifetime was suggestive (r = 0.59, P = 0.075). The data obtained show higher concentration of cadmium in breast tumor and urine of cancer patients and support a possible relationship between cadmium and breast cancer. This study was supported by a grant from the Lithuanian State Science and Studies Foundation (No. T-64/09).